Our business is built on our people and throughout our team runs a culture that is based on striving every day to better ourselves. We have a strong pedigree of teaming experience with fresh talent drawn from our long-standing relationship with the University of Bath and details of some of our key colleagues can be found here. Our board provides a wealth of experience as well as a progressive mindset that together drives the firm forward and ensures we grow without losing sight of our purpose or culture. Nick graduated from the University of Bristol with a degree in Economics and then spent several years in accountancy where he qualified as a Chartered Accountant. In 2000, he joined Morgan Stanley where he was a Managing Director of the equity division and Co-Head of the European and Middle East region for derivative sales. He joined City Asset Management as CEO in 2012. Nick is a member of the Financial Conduct Authority Smaller Business Practitioner Panel representing the investment management sector. Robin joined Citigroup in 1975 where he spent much of his 37 years with the firm overseeing the debt financing needs of UK and Dutch companies. He became a Managing Director of the firm and in the latter stages of his career with Citigroup he was responsible for the firm’s business relationship with the UK Government. In 2012 he became an Advisor to the Bank of England for four years advising the Financial Policy Committee on aspects affecting the stability of the banking system. Robin joined the Board in 2016. 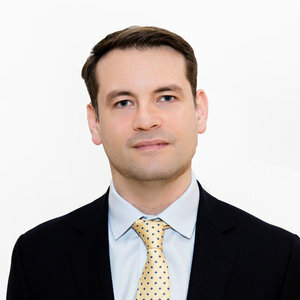 James graduated from Glasgow University with a degree in Agricultural Economics before completing his Masters in Investment Analysis at The University of Stirling. He started his career with Gartmore, moving to Greig Middleton, then S&P. He joined BestInvest as a Senior Fund Research Analyst before joining Berry Asset Management as Head of Fund Research. Prior to joining City Asset Management in 2009 he was head of Multi Manager at Baring Asset Management. James is responsible for the quality and management of the investment process and chairs the asset allocation, portfolio construction and fund selection committees. Hilary began her career in medical research with several highly regarded pharmaceutical companies before moving into investment management over 25 years ago. Since then she has developed a particular expertise in collective investments, offshore products and trust vehicles. She is a founder director of the firm and a key part of the company’s women’s initiative. Rebecca started her career with the Hinerman Group in Colorado before joining the life and disability insurance specialists MEG Financial. She then moved to the UK and joined City Asset Management in 2007. She has worked in, and managed, various aspects of our Operations, CASS and Risk Management functions during her career and she joined the Board in 2014. Mike has spent 30 years managing investment portfolios for high net worth individuals, their trusts, pension funds and charities. Throughout his career he has worked in several international banks and latterly, before joining City Asset Management in 2010, he worked at Thornhill. Mike became a member of the Board in 2013. Chris has over 25 years’ experience in the industry and has previously held a number of senior management roles in leading financial advisory firms. He is responsible for overseeing the Financial Planning team and the quality of the advice given to clients. Chris continues to advise on a broad range of financial planning matters, including self-invested pension plans, retirement planning, pension transfers, and inheritance tax mitigation. Chris is a Chartered Financial Planner. David graduated from Sheffield Hallam University with a degree in Financial Planning & Services and started his career with a family office specialising in property investments. He joined City Asset Management in 2005 and became a Director in 2009. David has specific responsibility for analysing property funds and direct equities as well as managing the AIM IHT service.